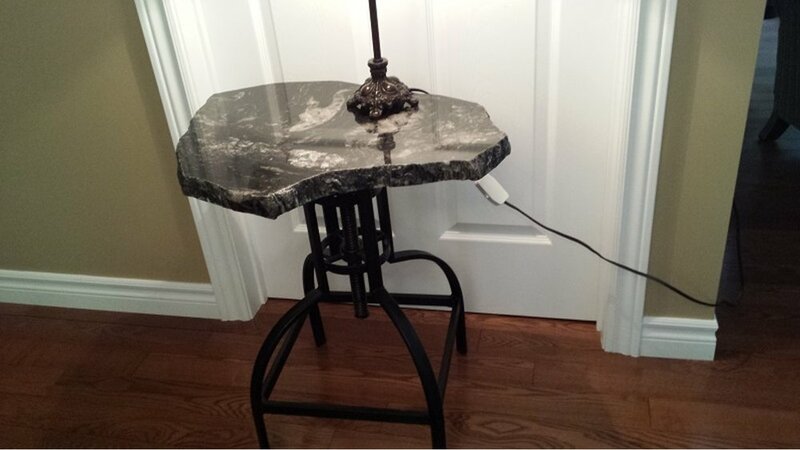 Granite Creations is an all Canadian company, in the business of creating handcrafted, uniquely elegant stone products, using high quality granite, marble, and quartz material. All their products are hand-crafted by artisans in Bobcaygeon, Ontario. 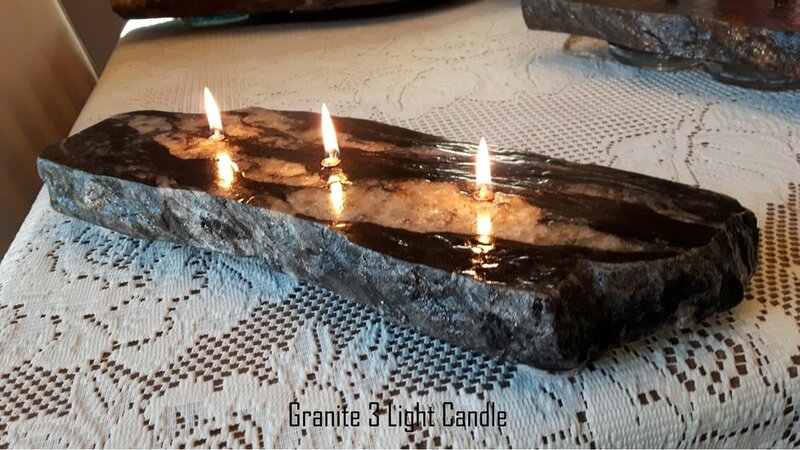 Brian and Marianne Cady opened Granite Creations in 2015. Out of concern for the environment, they identified that in the stone countertop industry, there is considerable breakage and waste due to the fragile nature of the material. They learned that this waste eventually wound up in the land fill, so they decided to do something about it. 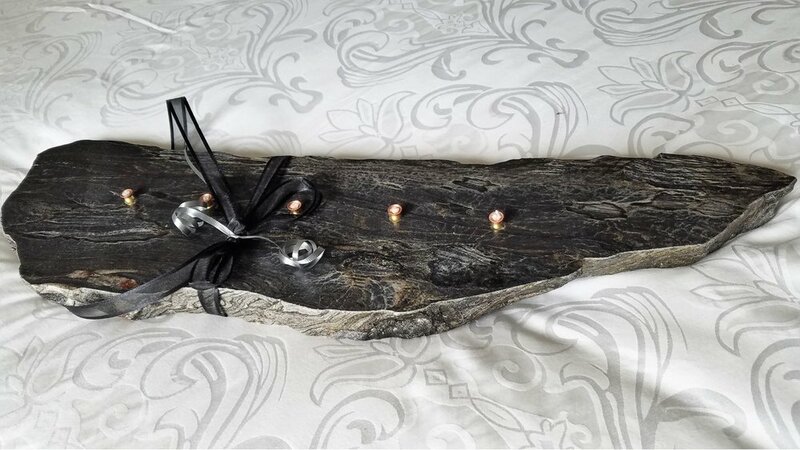 All that they reclaim is re-purposed into beautiful home decor and household items such as serving trays, platters, cutting boards, lazy susans, sushi trays, charcuterie trays, granite paraffin candles, and granite top occasional tables. Since each item is rough chiseled and made from a variety of different source items with a variety of colours and graining, no two pieces are alike. Each will have a unique shape usually determined by the natural characteristics of the stone. 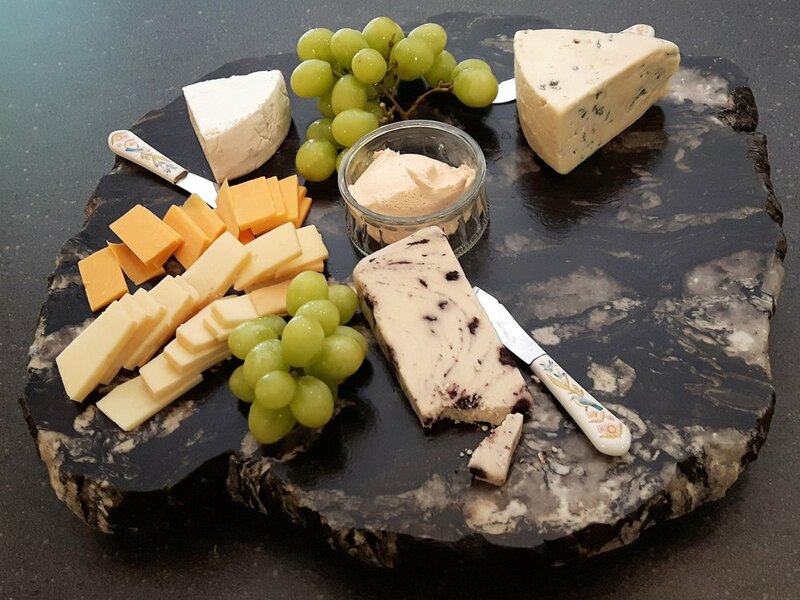 At Granite Creations they re-purpose and reclaim this natural and organic quarry based material and create one of a kind stone product that are not only artistic and elegant, but also very functional.